JS MyEstate is a beautiful pattern made in an elegant style, which experts JoomShaper decided to perform in bright colors. It supports modification Joomla 1.5 - 2.5. Template has the support of K2, as well as the shopping cart K2 Store, which is equipped with a calculator to calculate the total amount. A template has three color choices and 44 module. Would be a great solution for the development of the resource by which a property will be sold. 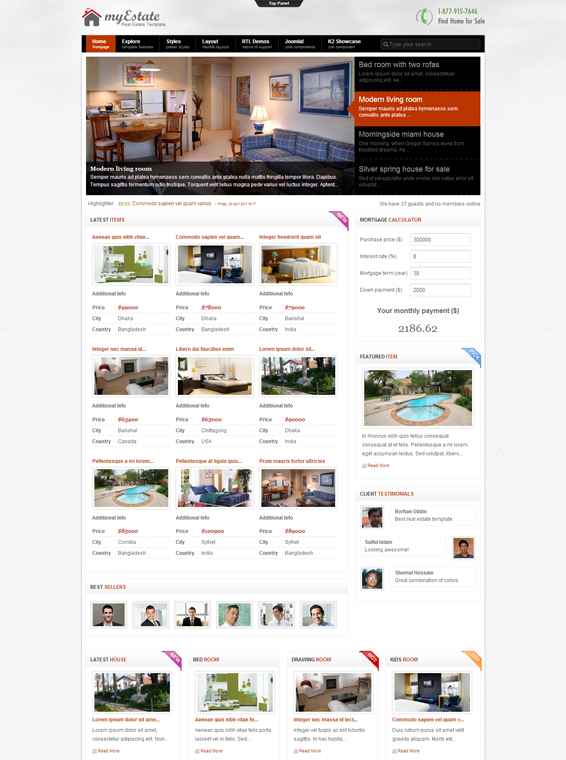 Thanks to its impressive multimedia capabilities template can present real estate and arrange a convenient online sale. In Control Panel Shaper myEstate template you can choose from 3 preset design styles. It is also possible to style modules.